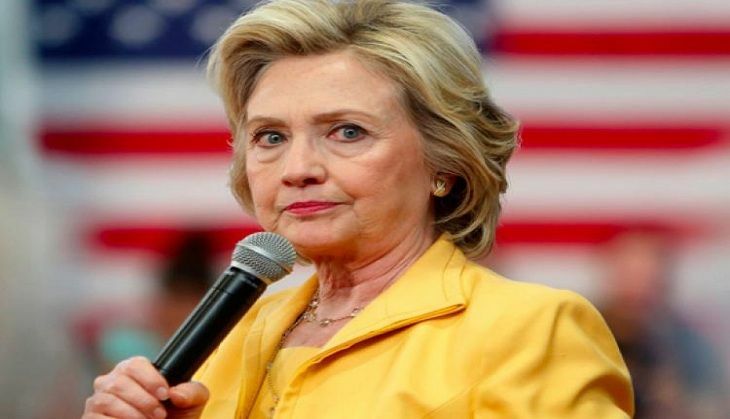 A new video - titled 'Hillary Clinton lying for 13 minutes straight' - has gone viral on social media platforms. And as the name suggests, the video purportedly shows the Democratic presidential front-runner changing her stance on a variety of issues. The clip has garnered over 7 million online views. The video is a long highlight reel of Clinton contradicting herself or saying things that were later revealed to be untrue - on a number of issues ranging from gay marriage and Wall Street to the North American Free Trade Agreement (NAFTA) and her private email server controversy. At the start of the video, a message says that the project is not a "pro-Trump video". The video also warns that the Republican presumptive nominee would be the next target. On gay marriage, the video shows Clinton backing a traditional view of marriage in 2004 and 2010, before supporting gay marriage in 2013 and then accusing an NPR radio host in 2014 of "playing with my words" when the host accuses her of changing her tune. On whether she is a progressive or a moderate, the video shows her calling herself both a progressive and a moderate, Fox News reported. "I get accused of being kind of a moderate, center...I plead guilty," she is quoted as saying in one clip. Other clips show her affirming that she is a progressive. The video spans 20 years of Clinton clips and includes some well-known controversies from previous campaigns. One of those is the 2008 controversy over her repeated claim that she had come under sniper fire when landing at a Bosnian airport as first lady in 1996. She had used the story to present her broad foreign policy experience, in contrast to then-Senator Barack Obama's. However, videos of the trip were unearthed showing her casually greeting military officials and taking pictures with children on the runway. Clinton later backtracked on the claims, saying she "misspoke".